Pauline Fore went to join the Lord Wednesday, Feb. 1, 2017. 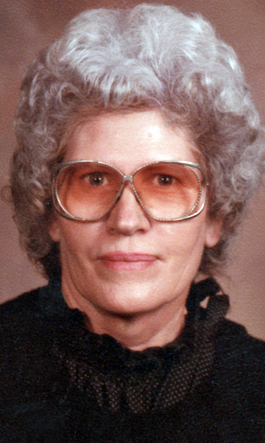 She was a lifelong resident of Artesia. Pauline was a strong, beautiful soul that touched many lives. She had five children, Roy Wayne Fore, Ray Gene Fore, David Fore, Shirley Adamson and Jerry Fore; 10 grandchildren; and a lot more great-grandchildren. From our family to our hometown community, thank you for all of the love and support over the years. God looked around His garden and found an empty spot. Then He looked down on this earth and saw your tired face. He put his arms around you and lifted you to rest. God’s garden must be beautiful, He always takes the best. It broke our hearts to lose you, but you didn’t go alone. A part of us went with you the day God called you home.